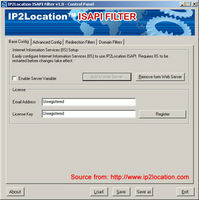 IQ Proxy Server is a robust and secure content/reverse solution for Windows. Featuring the most scalable server engine with up to 60, 000 simultaneous connections for both filtering and caching content proxy and securing and accelerating reverse proxy, could serve more than 10, 000 requests/sec in keep-alive mode. 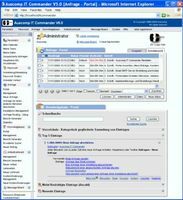 Fastream IQ Proxy Server 3.0R (formerly known as "IQ Reverse Proxy") for Windows 7/2008/Vista/2003/XP/2000 features: 1. Complete content proxy solution for web with support for the protocols such as HTTP, HTTPS, FTP and Gopher featuring filtering with respect to domain, location and content 2. 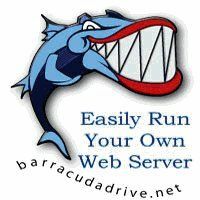 Robust & secure reverse proxy server with SSL offloading/tunneling, smart failover, extremely fast RAM/disk cache and load-balancing 3. Tested 60, 000 concurrent connections on single proxy port 4. Tested 10, 000 requests/sec with keep-alive and ultra fast caching 5. Windows Active Directory support as well as HTTP/1.1 basic and digest authentication schemes 6. 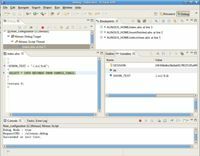 Easy-to-use remote GUI for Windows 7/2008/Vista/2003/XP/2000/NT4/9x 7. Upload/download bandwidth-per-connection limits on both content/reverse proxies--general and per-connection limiting 8. IP/domain/country-based firewall for both proxies as a tighter security measure. We update our IP-to-country conversion database every month for free! 9. Connections-per-client-IP limiting on both content/reverse proxies 10. URL translater in reverse proxy for perfect browsing experience for your end users 11. Many more such as anti-hotlinking, W3C logging, GZip compression, etc.